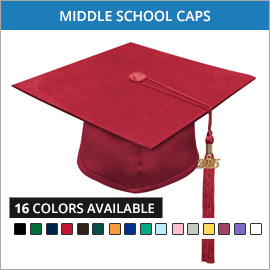 Here at Gradshop.com, we offer unbelievable discounts on all our middle school graduation apparel and accessories. 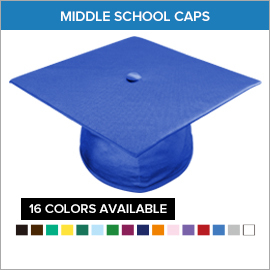 You may choose from the matte and shiny finishes for all middles school gowns and caps which are all meticulously crafted using the finest materials. 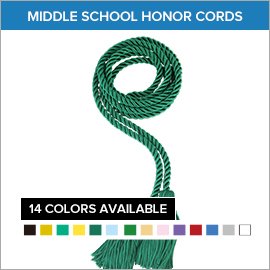 These come in 15 vibrant colors to choose from, which means we've got you covered whatever your needs may be. 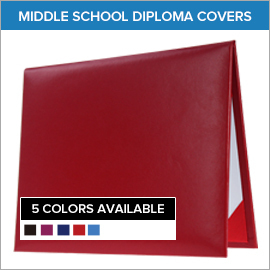 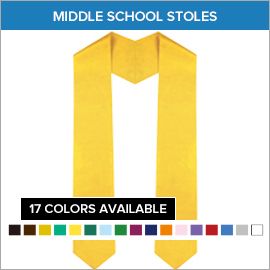 Our fabulous middles school accessories line includes tassels, leatherette diploma covers, as well as plain and printed stoles. 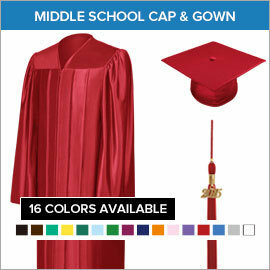 You can avail of wicked discounts when you buy our top quality middle school graduation regalia in bulk. 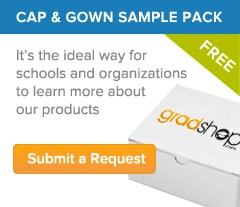 Also, there's no need to worry if you've got last minute requirements - Gradshop's same day shipping has got you covered. 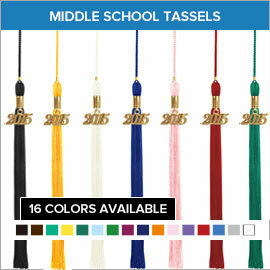 Our warm and courteous staff members are always ready to give you a hand with all your graduation regalia purchases. 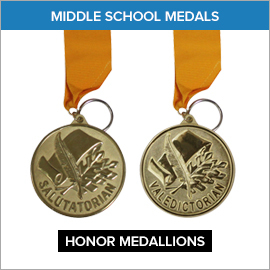 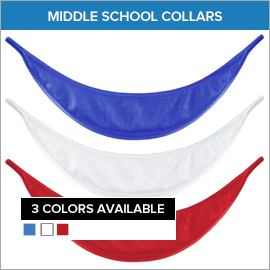 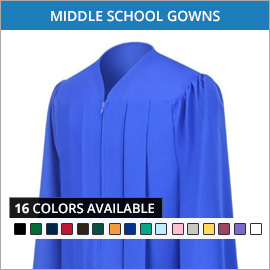 Remember to buy all your middle school graduation needs only from reputable providers. 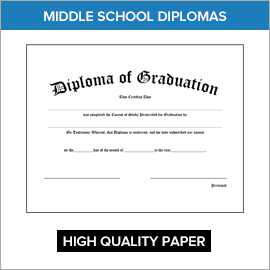 Our numerous years of experience in providing the best quality graduation products at the lowest prices has solidified our status as the go-to source for all graduation regalia. 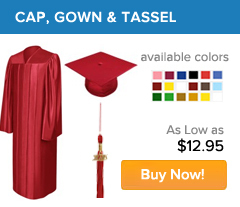 Get in touch with us right now for more information on our huge selection of graduation apparel and accessories.